The new Museum includes important new features. With the historic preservation of the Museum’s current North Wing (the 1926 Pack Library building) and the renovation of existing Museum spaces and new construction, we have transformed prior disparate spaces into a new cohesive, coherent, and inviting Museum. The new Museum elegantly combines historic and contemporary elements. 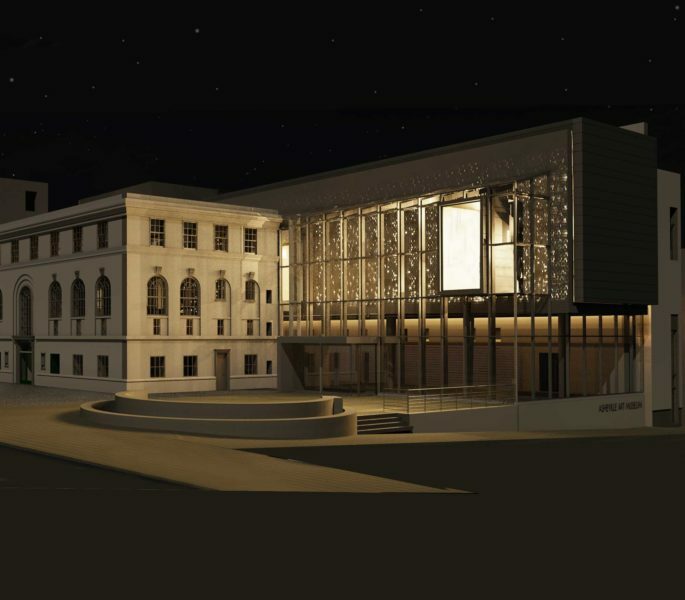 It honors the past with the restoration of the Pack Library building, an Asheville landmark built in 1926, and it steps into the future as a 21st-century architectural landmark in downtown Asheville with a visually stunning new front façade, entrance, and plaza. This “fly-through” animation video shows features of the New Museum. The Museum’s expansion will increase our capacity to serve diverse audiences and generate economic impact throughout the region. The Museum’s physical expansion will extend its role as a community center, educational resource, visitor center, and cultural concierge for all residents of WNC and the many visitors to our region. A gift to the Capital Campaign is a gift to our community’s future. With the Museum’s major renovation and expansion project comes even greater opportunities to transform lives through art. The new Museum will be a celebration of the human creative spirit, a center for lifelong learning and a gathering place for the community. Support the creative future of our region and donate today. Thank you for supporting the arts!